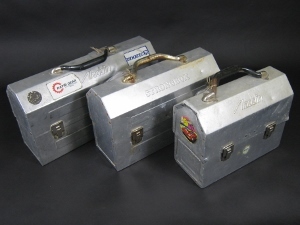 We have a limited number of metal lunch boxes for sale that were used by miners in Sudbury, Ontario. Each one is unique. They can also be used as motorcyle or snowmobile tool boxes.